Notes: Local in woodland on chalky soils throughout southern England. Fairly widely distributed across Hampshire, wherever the foodplant is found, but decidedly uncommon on the Isle of Wight. Wingspan 26-33 mm. 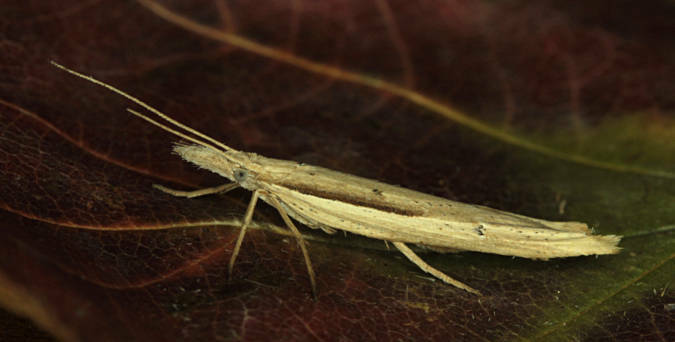 The distinctive attenuated resting posture is shared by a few other species of Ypsolopha, and most closely resembles Y. nemorella, which has a strong basal streak, lacking in Y. nemorella. 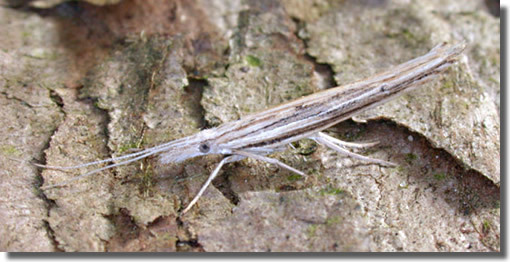 Larva feeds on Spindle, beneath a silken web.